Two weeks ago, Lexus invited me to Whistler, British Columbia, where I was able to test drive the all-new NX compact crossover in all its various forms. The following is a technical overview of the new model — my personal impressions will posted on Wednesday. 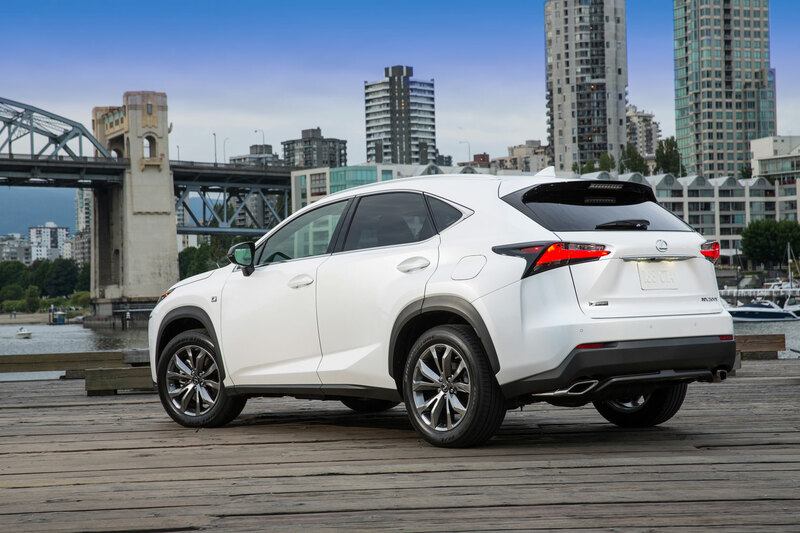 As the vehicle that established the luxury crossover market, the RX SUV is the best selling Lexus of all time. Since launching in 1998, it has racked up over one million total sales in the USA alone. In 2013, the RX accounted for nearly 40% of Lexus USA sales. 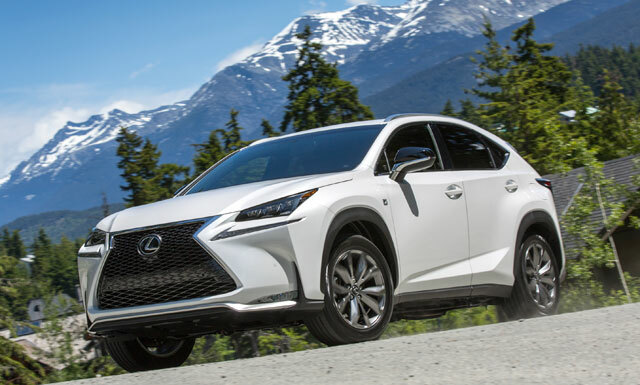 With this in mind, it’s no surprise Lexus has been reluctant to introduce any models that could cut into RX sales, even as competitors built crossovers both small, medium, large, and every size in between. 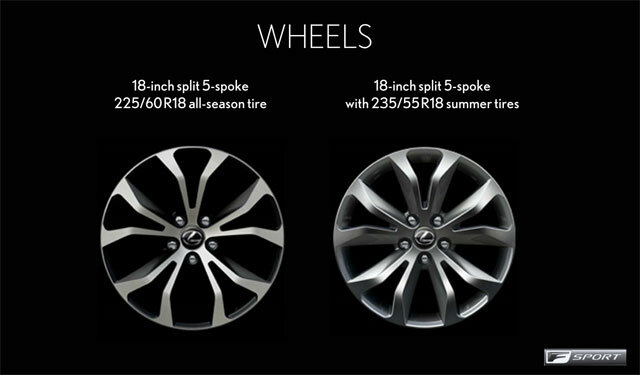 Still, things change. 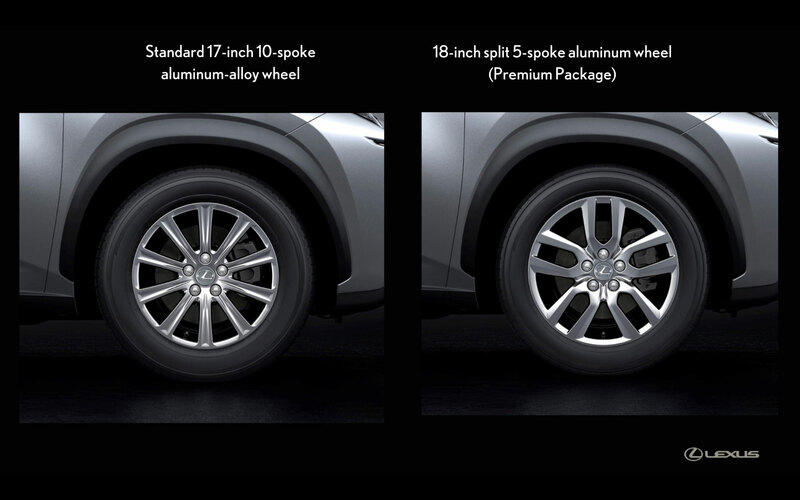 The crossover market has separated enough that the RX can no longer be all things to all people. There’s a new type of buyer — one that’s looking for a vehicle to fit into their active lifestyle, but without the family-friendly baggage of the RX. 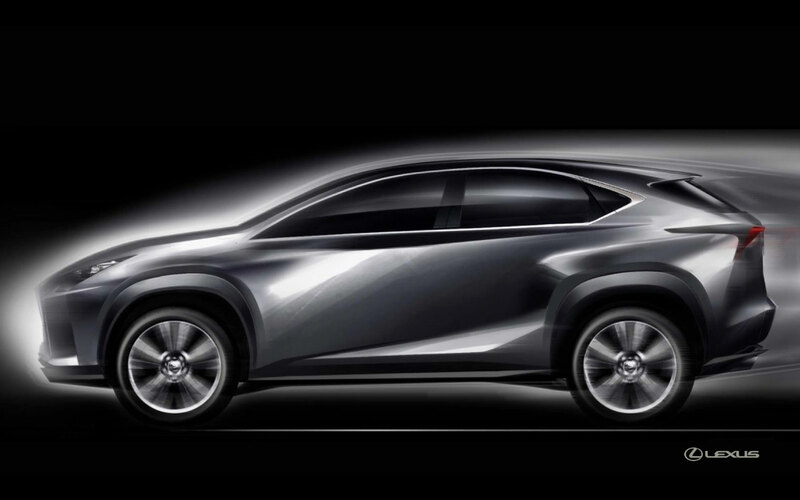 In order to better compete for these customers, Lexus will introduce the NX compact crossover later this year — here’s a broad overview of the new model. 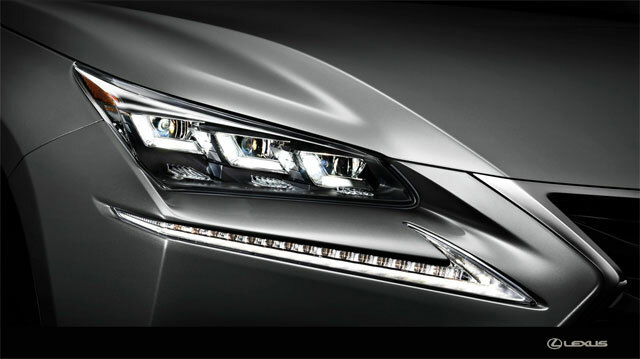 turn signals integrated into the L-shaped daytime running lights, rather than part of the main headlamp assembly. Ground clearance is 6.9 inches (175 mm) for the NX 200t and 6.7 inches (170 mm) for the NX 300h. 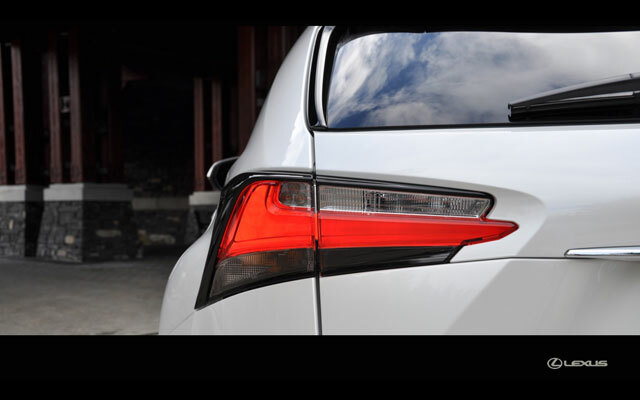 Tow rating on the NX Turbo is 2,000 lbs, with the NX Hybrid rated at 1,200 lbs. 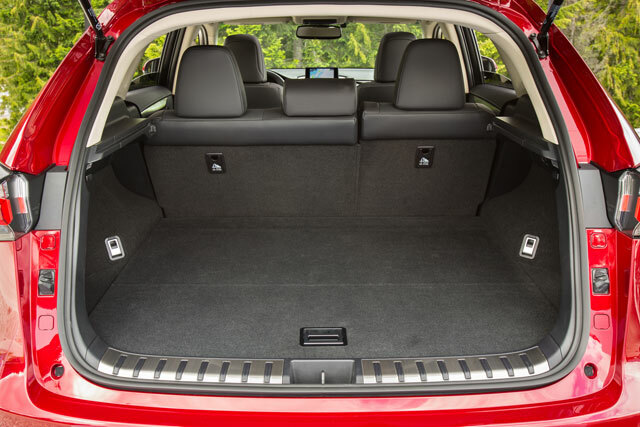 As for cargo space, the NX 200t has 17.66 cubic feet of storage with the rear seats up and 54.56 cubic feet with the rear seats down. 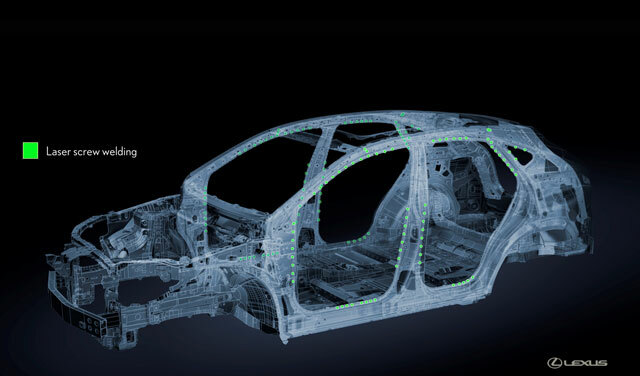 The NX 300h is only 1 cubic foot less, measuring 16.77/53.68 cubic feet up/down. Like the RX, the NX has MacPherson struts in the front and a double-wishbone rear suspension in the rear. 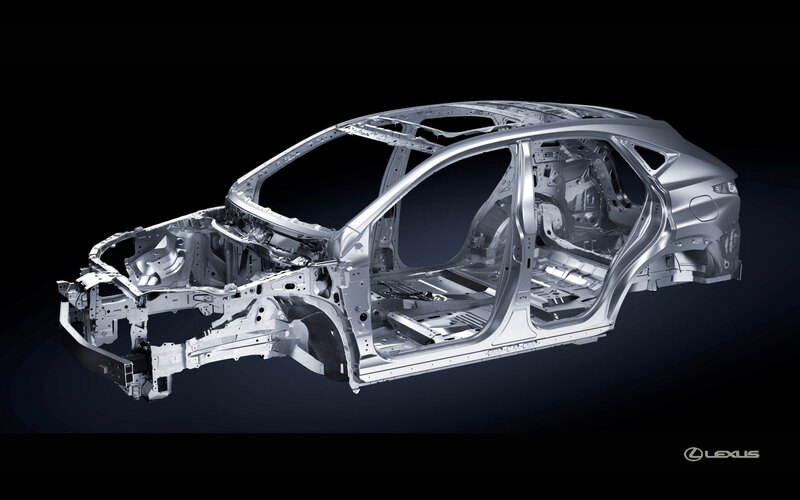 However, the suspension has been tuned with a focus on driving performance — case in point, chief engineer Kato cited the IS sedan as one of the benchmarks for handling. The parking brake is electric, with a pull-up switch under the Drive Mode Select knob. 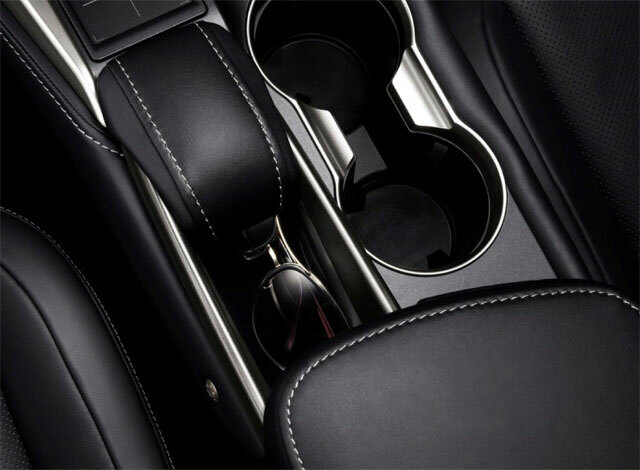 After coming to a complete stop, there’s a Brake Hold system that will keep the brakes engaged until the gas pedal is used. 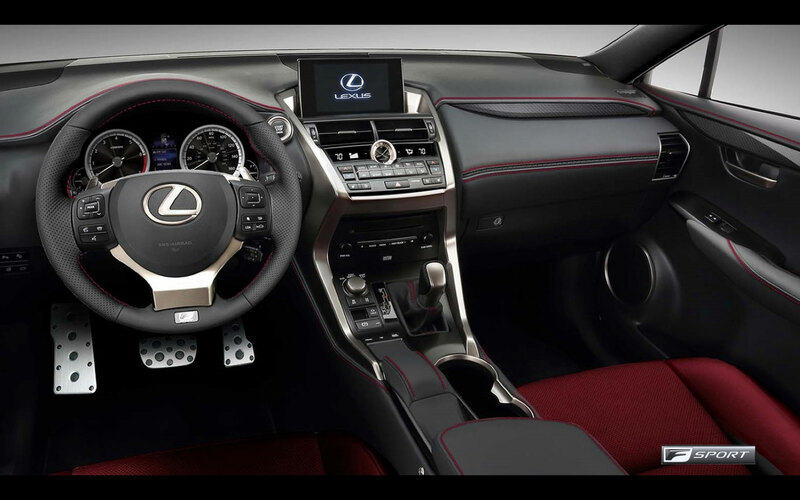 Final numbers are 235 horsepower @ 4,800-5,600 rpm and 258 lb.-ft. of torque @ 1,650-4,000 rpm. 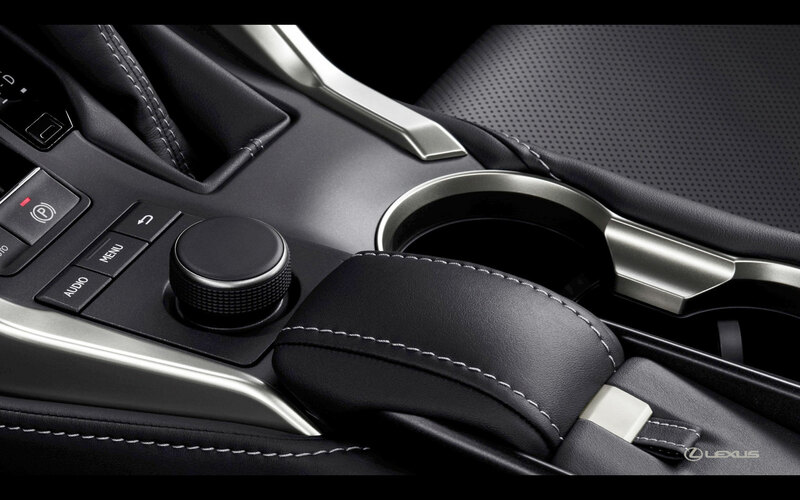 This delivers a 0-60 MPH time of 7.2 seconds for the 2WD model and 7.0 seconds for the AWD model. 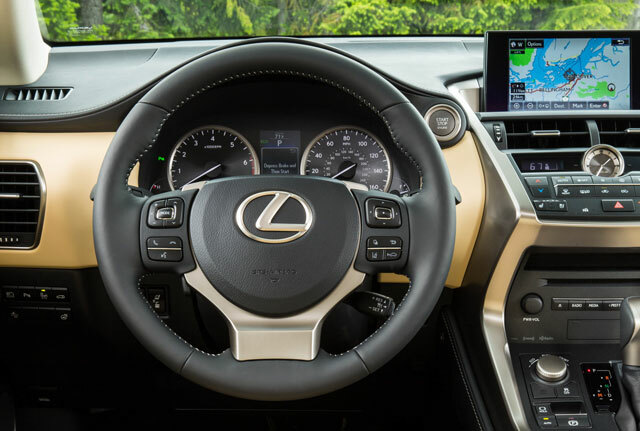 Fuel economy has yet to be tested by the EPA, but Lexus estimates the 2WD turbo mpg to be 22/28/25 city/highway/combined. 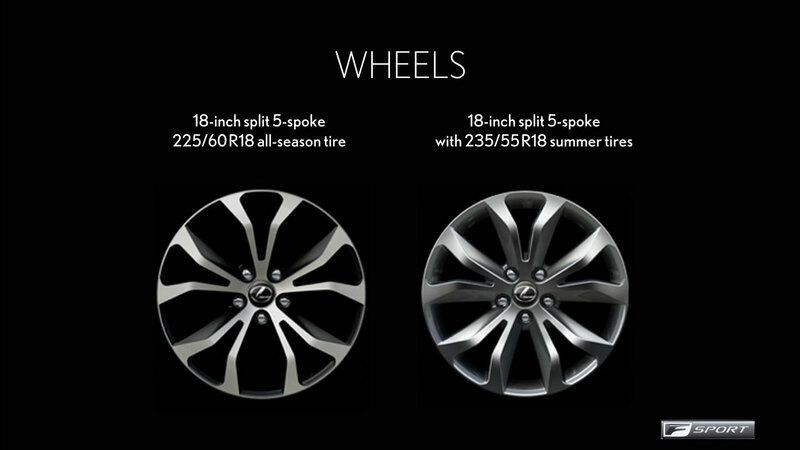 The AWD turbo is estimated at 21/28/24 city/highway/combined. Fuel capacity is 15.9 US gallons (60L), and premium fuel is required. 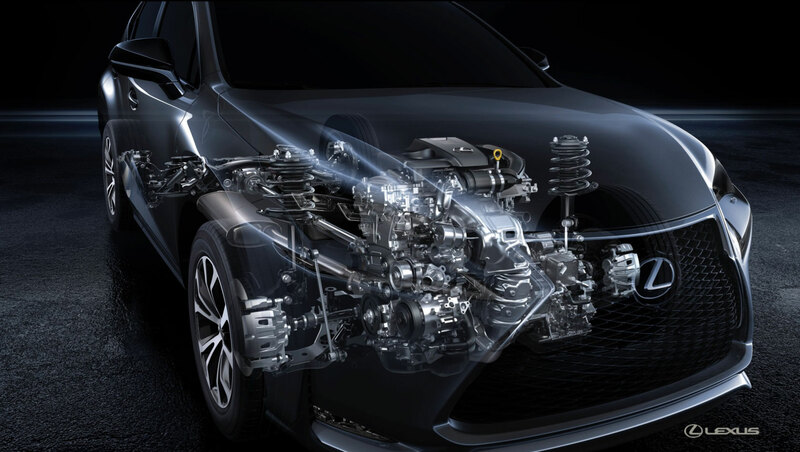 The updated Variable Valve Timing (Dual VVT-iW) allows the engine to start in the Otto cycle before switching to the Atkinson cycle, balancing off power for acceleration with better fuel efficiency at cruising speeds. The engine is mated to a new 6-speed transmission equipped with a turbo-optimized torque converter and the G-force Artificial Intelligence (G-AI) system introduced in the 2014 IS F SPORT. 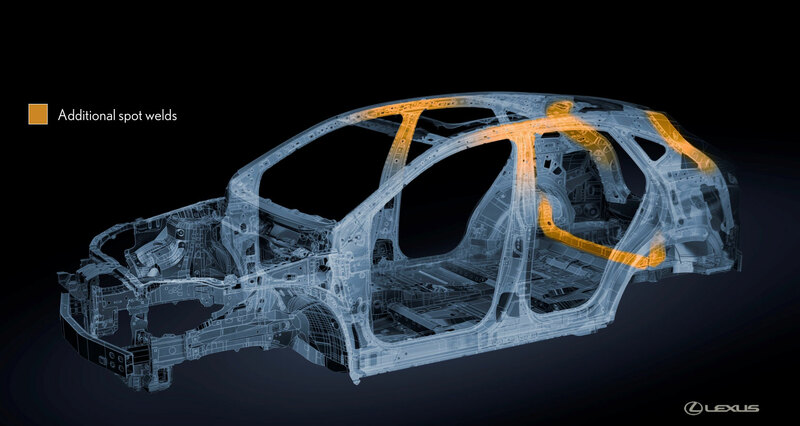 G-AI automatically selects the optimum gear and downshift pattern by sensing the current G force of the vehicle. 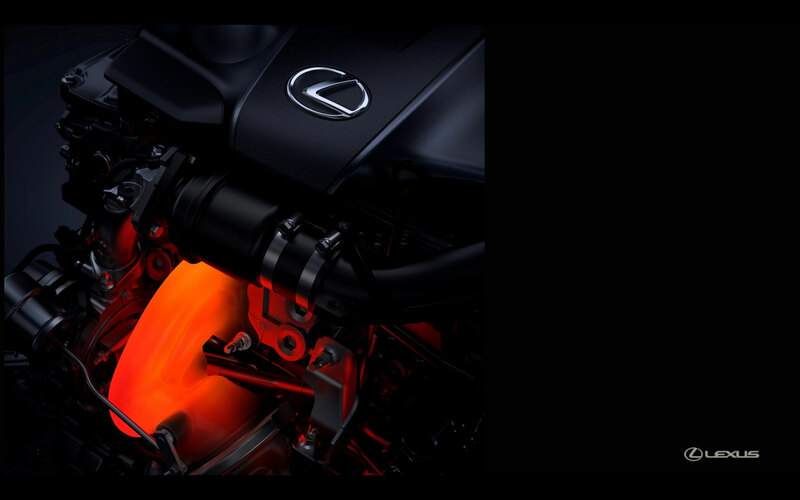 Developed entirely by Lexus engineers, this turbocharger employs a four-into-two exhaust manifold system, which reduces turbo lag by pairing cylinders according to their expansion or compression stroke. 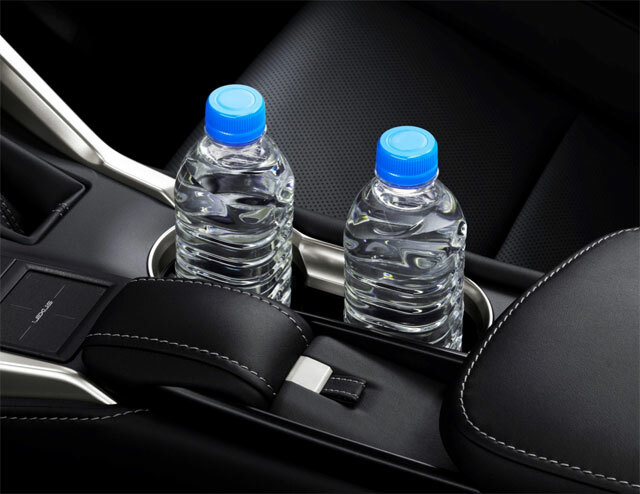 Another innovation is the air-to-liquid intercooler mounted directly to the engine — this lowers intake temperature while insuring output doesn’t suffer. 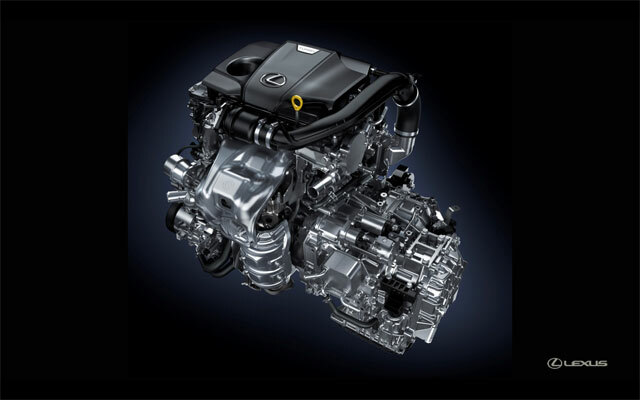 Best of all, the intake system syphons away carbon vapors from the crankcase — this means the 2.0L turbo can go 10,000 miles between oil changes, just like a conventional naturally aspirated engine. 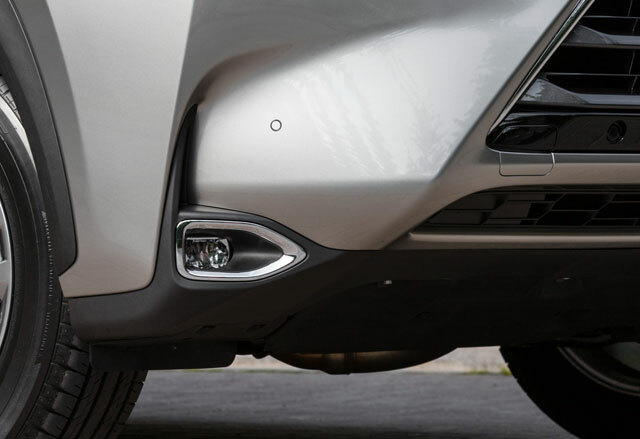 The NX 200t is available with Dynamic Torque Control AWD, which continuously controls torque transfer between the front and rear wheels by using sensors for vehicle speed, steering angle, steering speed, throttle angle and yaw rate. The NX 300h generates 194 total system horsepower and 152 lb.-ft. of total torque. 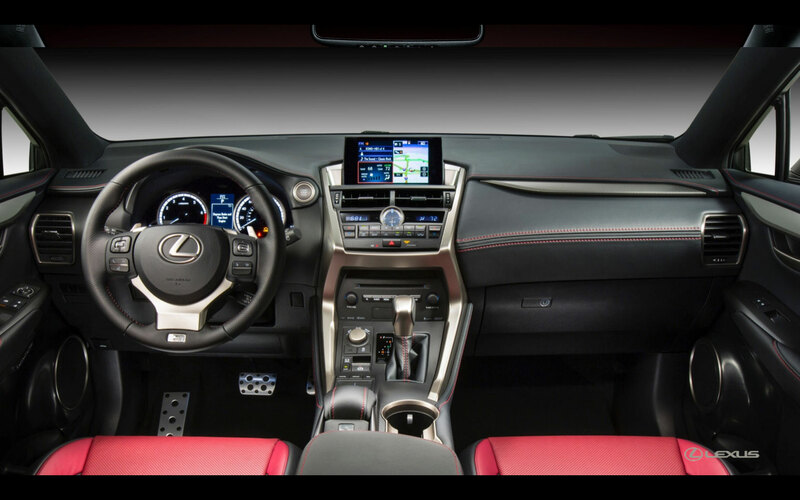 This gives the NX 300h a 0-60 mph time of 9.1 seconds. 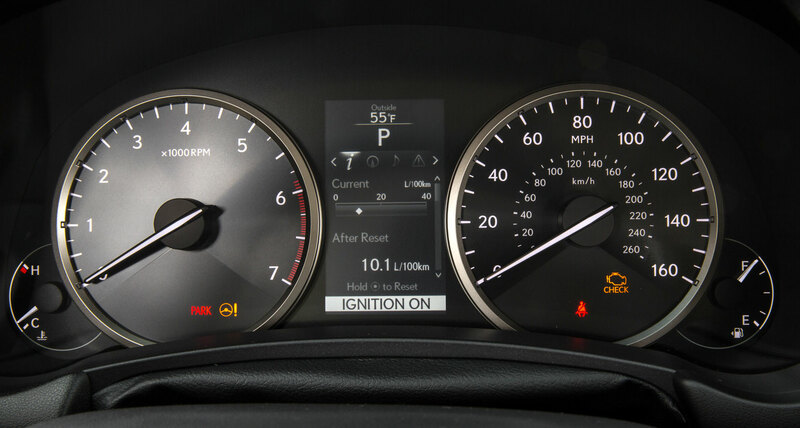 As with the NX 200t, fuel economy has yet to be tested by the EPA. 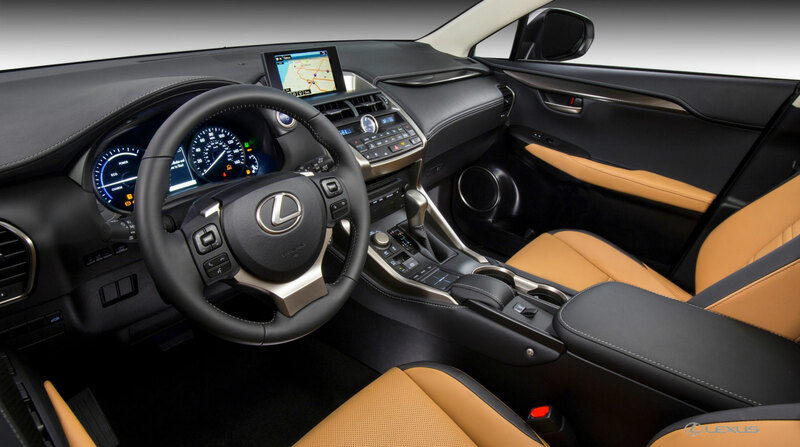 Lexus estimates the 2WD model mpg to be 35/31/33 city/highway/combined and the AWD model mpg to be 33/30/32 city/highway/combined. The NX 300h features a new P314 continuous variable transmission with simulated sequential shifting and a new kick-down function for an additional acceleration boost. 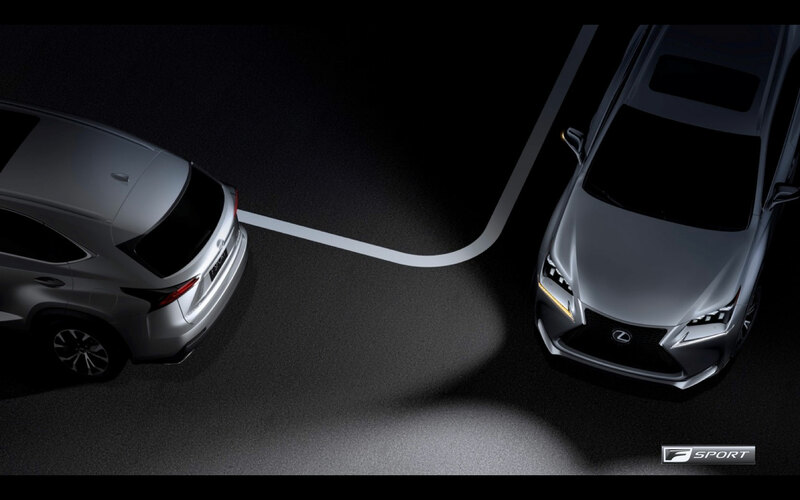 The NX 300h AWD system takes advantage of an additional electric motor to drive the rear axle while the front axle is propelled by gasoline or electric power. 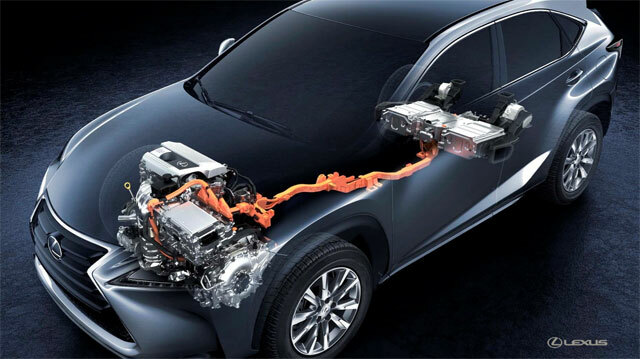 The rear motor also acts as a generator when the NX is in regenerative braking mode, which helps to charge the hybrid batteries faster. SPORT: Increases the responsiveness of the throttle response and tunes in the Electric Power Steering. 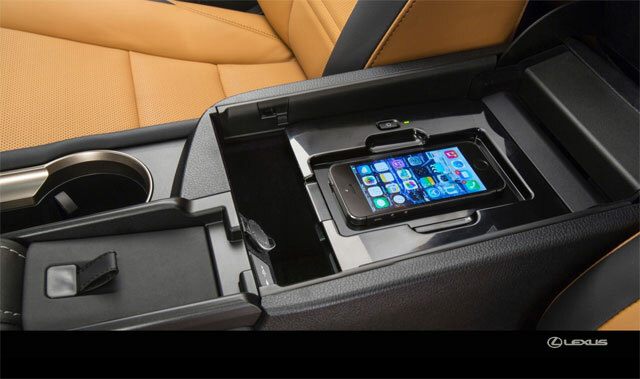 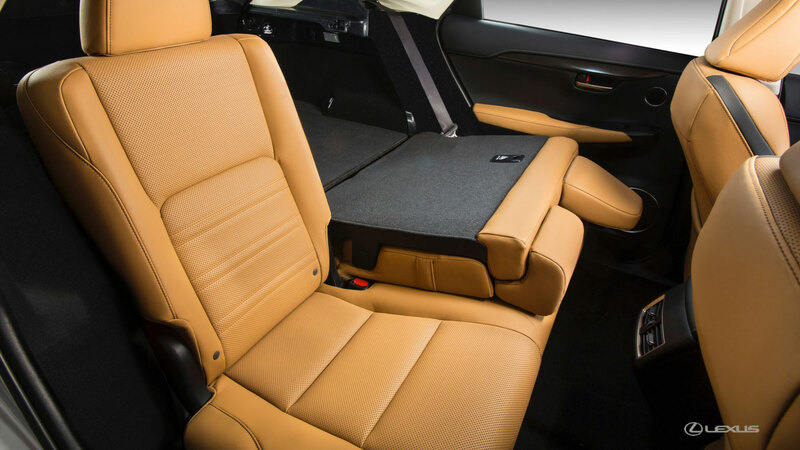 Seat heater and coolers are available in both the NuLuxe and leather trim levels, along with a 3-position driver seat memory with a sliding seat for easy entry and exit. 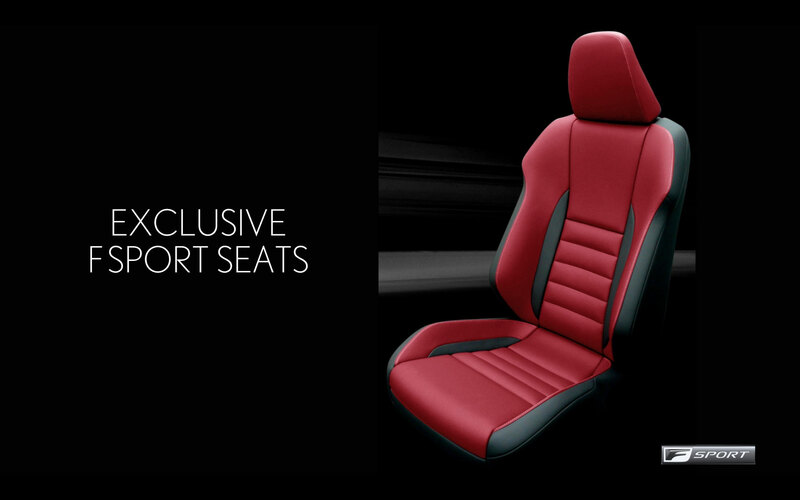 Power fold/recline rear seats are also available as an option. There’s also an available power rear liftgate option with a welcome adjustment — owners will be able to customize the position of the open trunk to suit the height of their garage. 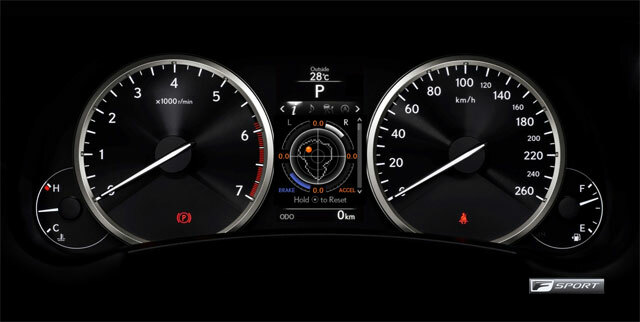 The NX 300h is identical but for one change — in non SPORT mode, the left dial is used as a hybrid system indicator showing power output and regeneration. 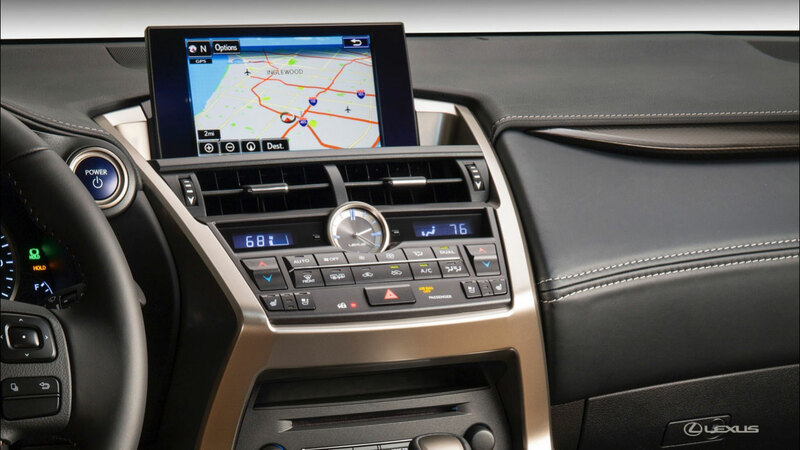 All models are equipped with a 4.2-inch Thin Film Transistor (TFT) LCD screen in the center of the instrument panel for displaying audio, navigation, and call information. 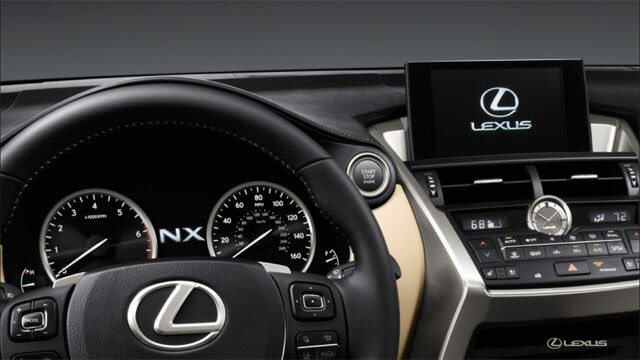 The RTI interface is only available on NX models equipped with the Navigation package (which also includes the Lexus Enform app suite). 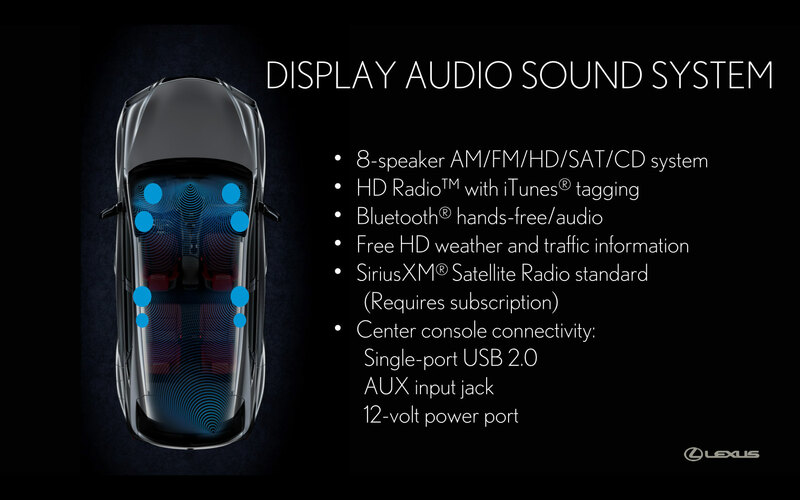 and a 12-volt power port. Other important safety features include 8 standard air bags, plus available parking assist and a pre-collision system with assisted and automated braking in the event of an accident. Interior color options in Lexus simulated leather NuLuxe will be Flaxen, Crème, and Black. All with come standard with Black Film trim. 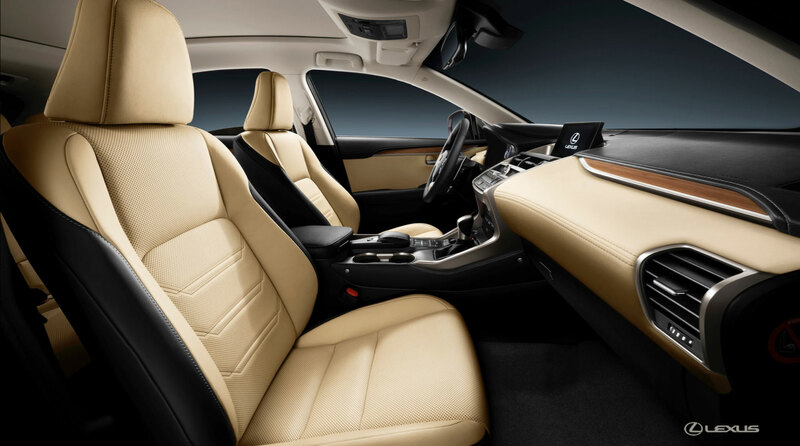 Genuine leather Crème and Black will be available with the Luxury package, which will also include Shimamoku wood trim. The overall suspension has been tuned, with adjustments to the front and rear suspension springs, shock absorbers, and electric power steering. 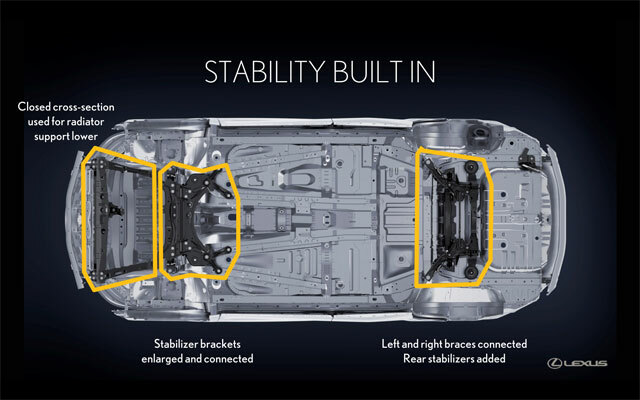 Performance dampers have also been added to the front and rear, which limits the amount of micro vibrations felt through the steering wheel during high-speed cornering. 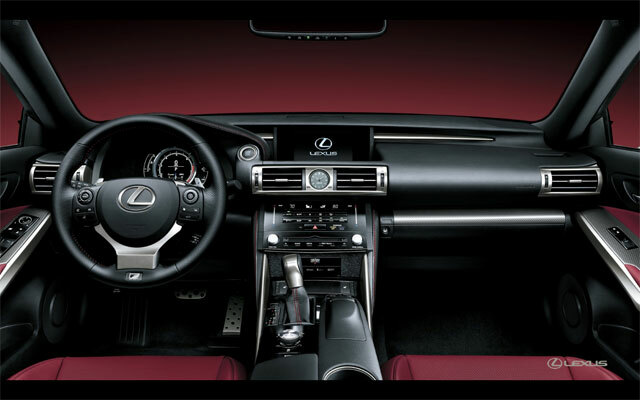 Inside, the NX will be offered in Rioja Red NuLuxe & Black NuLuxe. 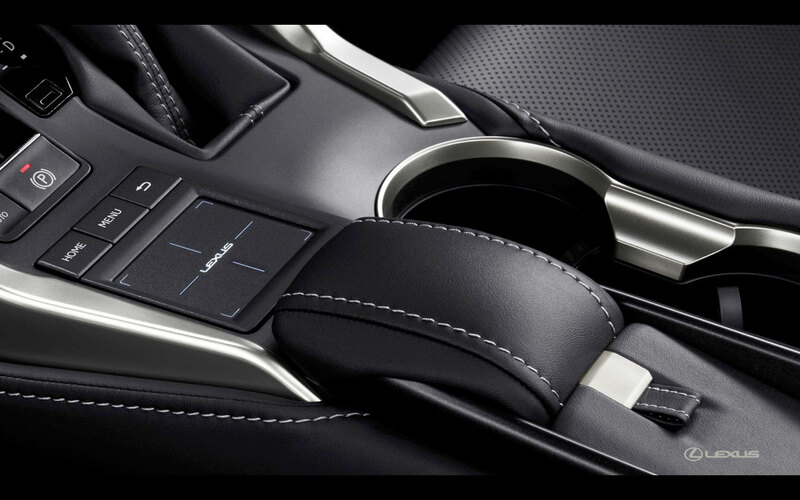 Both will feature Silver Metallic trim. 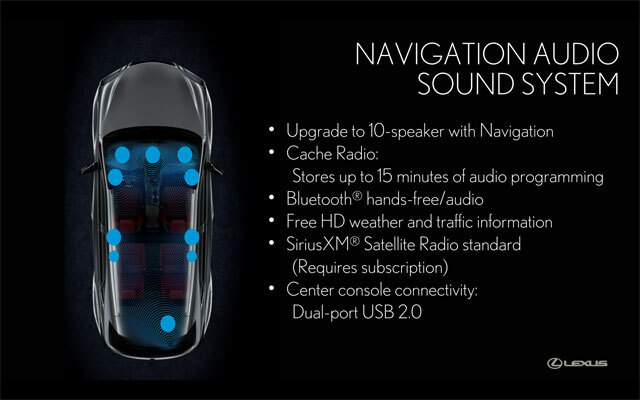 The actual engine sound and the assisting sound that is synchronized with the engine speed are harmonized, transforming the cabin into a sound space filled with realistic sounds. 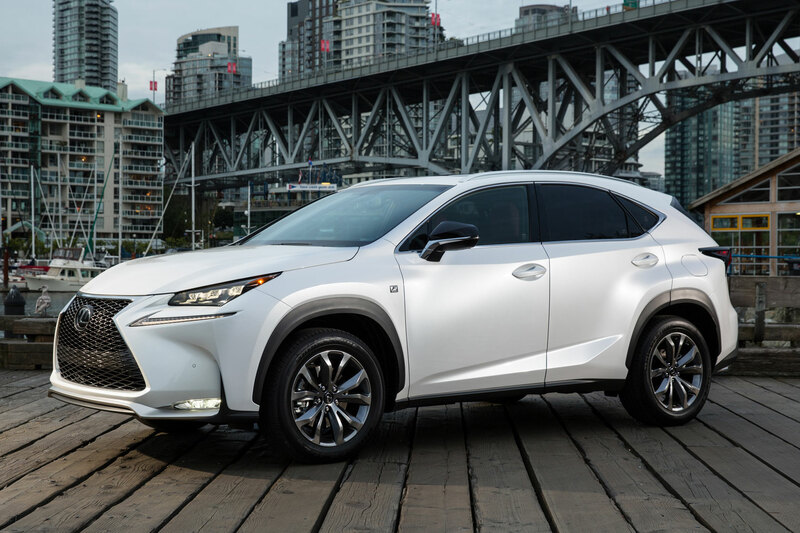 This ends my technical overview of the 2015 NX compact crossover — please check back on Wednesday for my personal impressions of the NX 200t, NX 200t F SPORT, & NX 300h. 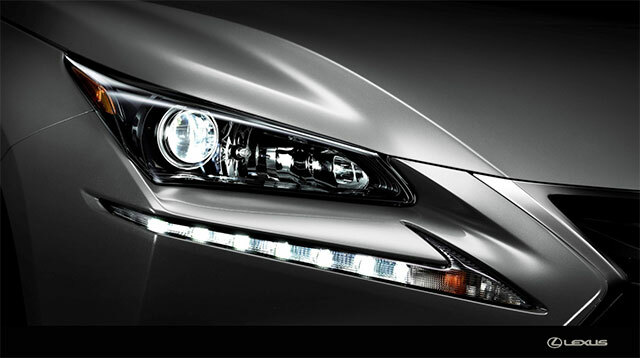 My thanks to Lexus for inviting me to this event. 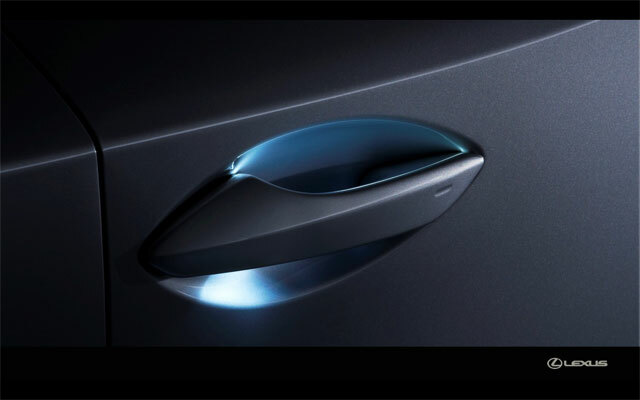 krew: Yeah, Premium gas for the NX 200t.